Flight time 12hrs 20mins from the UK. 18hrs from L.A. If you thought there was little more to Malaysia than the pearlescent beaches of Langkawi and the bashful orangutans of Borneo, this ten-day trip will have you thinking again. Peninsular Malaysia is a fascinating destination where history, culture and food combine to create something just as colorful as the landscapes that surround them. Filled with intel from our South East Asia experts, this trip promises to get you under the skin of the hustle and bustle of Kuala Lumpur before taking to the mystical Cameron Highlands to cool down. 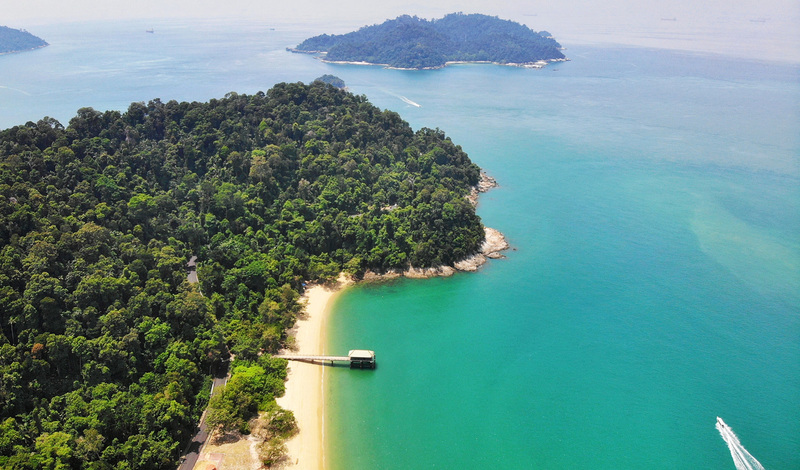 Through the jungles of Belum and onto the shores of Pangkor Laut, prepare to see what caught our eye in Malaysia. Begin your journey in the subwaypolis that is Kuala Lumpur, staying at the luxurious Mandarin Oriental. Sitting next to the iconic Petronas Twin Towers, staying here means you’re right in the heart of the action. With your own personal guide on hand, explore the old and new charms of this vibrant city. From towering skyscrapers, colonial builds and traditional mosques and temples; get a feel of what makes this city tick. Kuala Lumpur also boasts some incredible food stalls open – many staying open until the wee hours of the morning. Don’t know your char kuey teow from your mee goreng, your roti canai from your roti bom? We’ll send you out with an expert guide to get to grip with all the best delicacies. After your whirlwind visit to the capital, step away and recollect your thoughts in Cameron Highlands, a past favorite of the Colonial British to escape the city heat. Lying out in the Malaysian countryside, tea plantations and strawberry fields abound and High Tea comes as a local specialty. Enjoy two nights relinquishing your city habits in the gorgeous Cameron Highland Resort where long strolls, picnic trips and nights curled up next to the crackling fire are on the agenda. If you’re feeling adventurous, put on your walking boots and let our guides take you on an exploration through the jungle’s green surrounds where wildlife and the indigenous Orang Asli tribes await to be discovered. From the hills, it’s across to the thick jungles of Belum and its exotic playground of flora, fauna and wildlife. Enroute, stop for lunch in the Old Town of Ipoh where quaint colonial architecture still adorns the streets. We’ll point you in the directions for the best meal in town; a delicate mess of rice, curry and spice galore all served up on a sturdy banana leaf. Wash it all down with the must-try sweet Ipoh White Coffee. It will sure keep your eyes peeled for the rest of the journey to Belum. 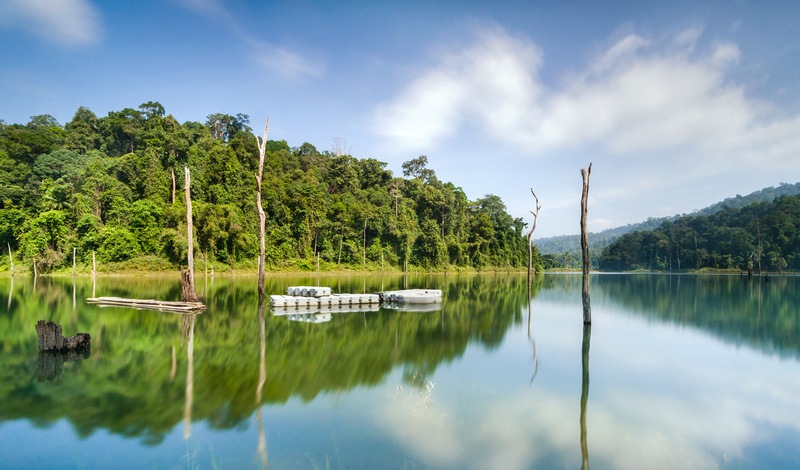 Arriving into Belum by dusk, hole up at the Belum Rainforest Resort where you’ll be rocked to sleep as the rainforest sings a lullaby of croaking frogs, clicking grasstorepers and the patter of the Malaysian Gecko. In the morning, wake up to the expanse of one of the oldest rainforest in the world laid out in front of you to explore. With a personal guide in tow, jump on board a boat and begin your hunt across the lake to find one of the largest flowers in the world, and an emblem of Malaysia, the Rafflesia. But there’s more to Belum than its wild jungle; hidden deep within is an abundance of animals from wild boars and tapirs, to elephants and monkeys. You just need to keep a good eye out for them. Malaysia holds some of the most beautiful beaches in the world where you can simply relax, rest and unwind, and what better way to end your trip. Hole up at Pangkor Laut Resort and spend your last few days in Malaysia living the island life. No request here is too big or too small. Whether you chose to pamper yourself in the world-class resort spa, spend your days on the nearby isolated islands exploring the marine life or on land, learning a trick or two and making your own batik sarong – you’ll be sure to bring a bit of Malaysia home.